Encourage your employees to achieve higher levels of performance by setting a tiered commission structure. 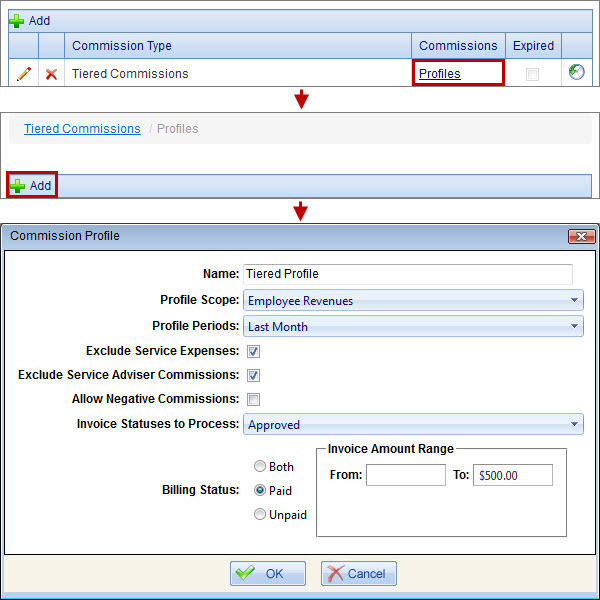 You can set up tiered commissions for calculating employee or sales advisor commissions based on different ranges of invoices amount. For example, 1% commissions is calculated if invoices amount is from $1 through $100, 2% commissions is calculated if invoices amount is from $101 through $200, and so on. 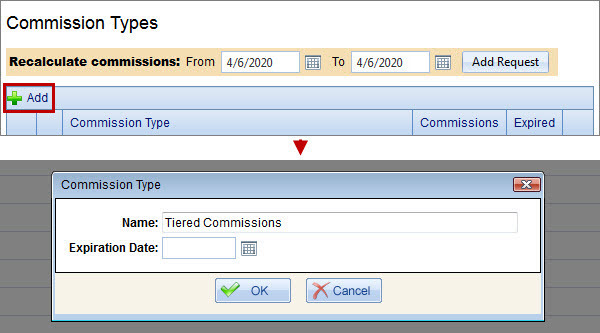 Note You can add tiered commission profile to an existing commission type; however, you should take into account that you can assign employee or sales advisor only to one commission profile of the same commission type. Important! You must select Last 24, Last Week, or Last Month profile period when you set up tiered commissions. In the Rule dialog box, enter the appropriate settings, and then click OK.
Click Edit next to the appropriate commission rule, click Add New Record on the Tiers toolbar, enter value, fixed low limit, high limit, and then click the Create button. Add as many tiers as you need, and then click OK.
On the New Commission Profiles page, in the Profiles column, select the commission profile with the tiered commissions rule, and then click the Save Profiles button.